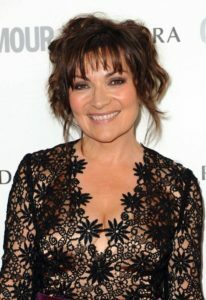 Booking Lorraine Kelly will go down a storm at your special event! We are a booking agent for Lorraine Kelly, and can arrange for her to entertain your guests. Lorraine Kelly is the queen of presenting. With years of experience and an infectious heart-warming laugh, you can’t help but love her. Lorraine has been gracing us with her lovely personality on ITV for a long time and has captured the nation’s heart. As well as her own show “Lorraine” on ITV, she has recently presented “Missing Children” and “Missing Mothers” for SKY TV and “Lorraine Kelly’s Big Fat Challenge” for the BIO channel. She also hosts the up and coming ITV1 daytime show “Celebrity Pressure Cooker”. Lorraine Kelly writes a weekly column for “The Sun” and the “Scottish Sunday Post” and is Agony Aunt for “best” magazine. In 2006 She won the RTS Award for best presenter and in 2008 was given a “people’s choice” Scottish BAFTA. 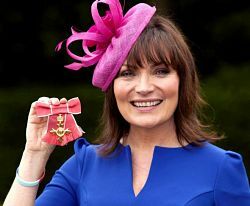 Lorraine Kelly was elected Rector of Dundee University in 2004 – 2007; and was invited to be Honorary Colonel of the Black Watch Cadets in June 2009. She has run the London marathon three times and the New York marathon once, and takes part in the 26 mile “Moonwalk” every year; raising hundreds of thousands of pounds for charity. Lorraine Kelly is a keen supporter of breast cancer charities, CLIC Sargent and Strathcarron Hospice near Stirling. Lorraine lives in Dundee with her husband Steve and daughter Rosie and is an avid Dundee United supporter. Contraband is the UK’s top booking agent, with friendly, skilled account managers who guarantee you the best deal possible. 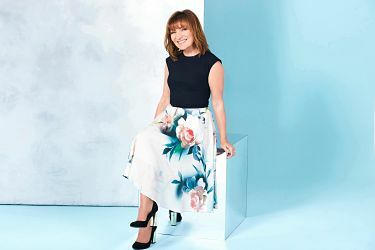 Contact us today if you would like to book Lorraine Kelly to be the headline of your event! We as your booking agent are more than happy to help you create the most memorable moments with Lorraine Kelly.